Salvation Mountain is an art installation covering a hill in the Colorado Desert, several miles from the Salton Sea, in Imperial County, California. The artwork is made from adobe, straw, and thousands of gallons of lead-free paint. 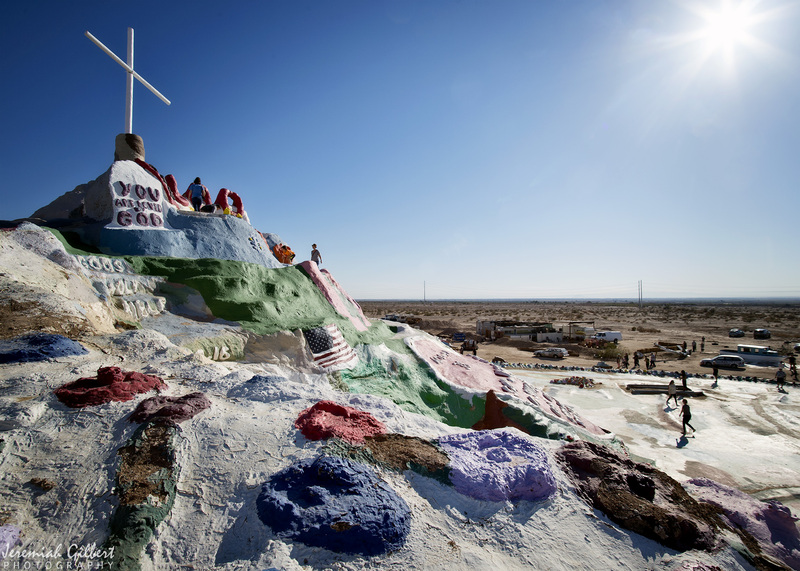 Salvation Mountain was created by local resident Leonard Knight (1931–2014). It encompasses numerous murals and areas painted with Christian sayings and Bible verses. It is a popular site among the religious and the curious.